To start off our list of girl baby shower decorations we have this incredible pink, white and confetti balloon garland that you can place over your dessert table to help bring it to life and make it pop. 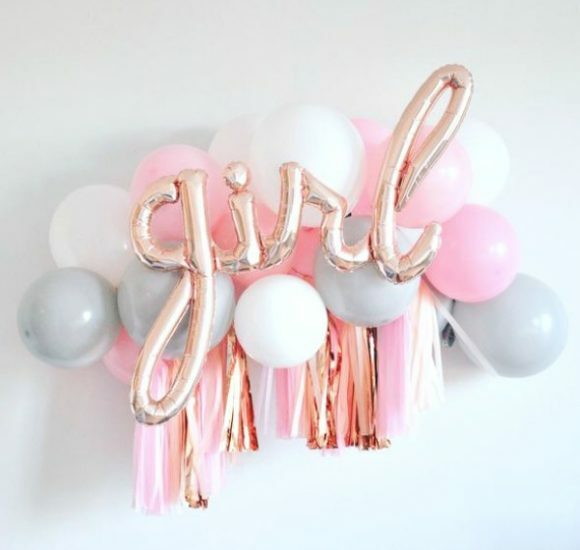 Balloon garlands are so beautiful and are everywhere at the moment, so you'll definitely be on trend! 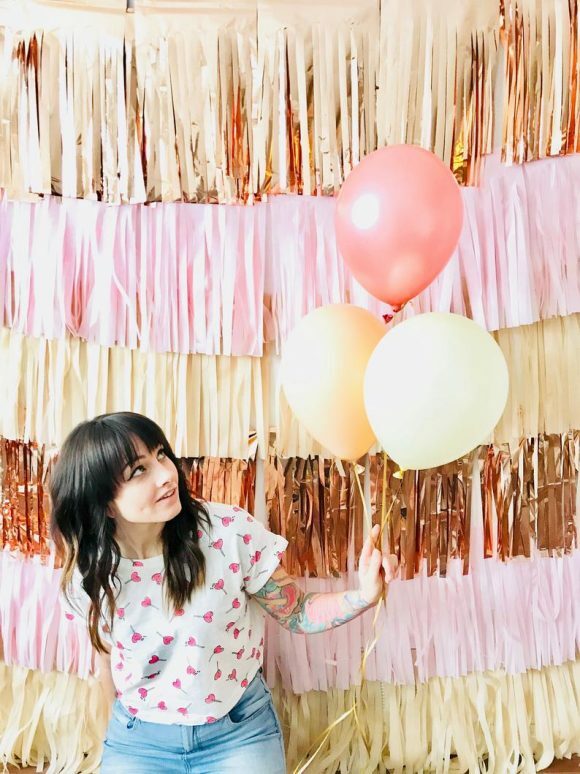 We've also discovered this beautiful balloon backdrop that includes a cool mix of party decorations that will blow your mind! 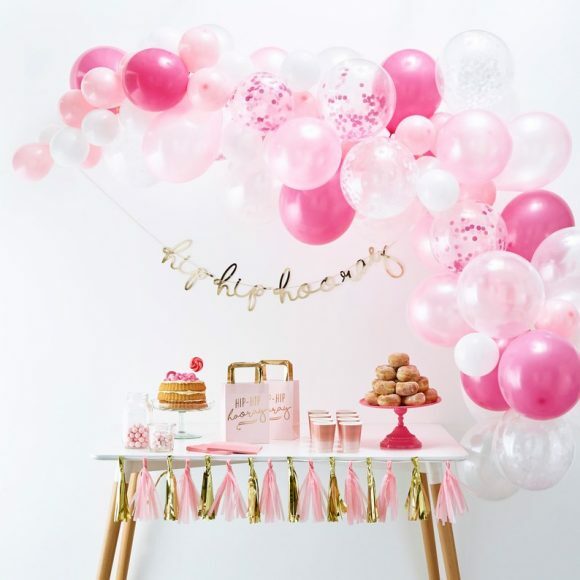 The pack comes with a white, pink, and grey balloon garland, pink champagne, white and pink tassel garland, and a pink champagne 'girl' script balloon, that you can place on the wall behind your dessert table to make your party look gorgeous. Another way to create a stunning backdrop for your little girl's baby shower is to use this spectacular pink, cream, and pink champagne tassel curtain. Not only will it look fabulous as a backdrop to your dessert table, but you can also use it as a backdrop for your photo booth. Totally Instagramable! 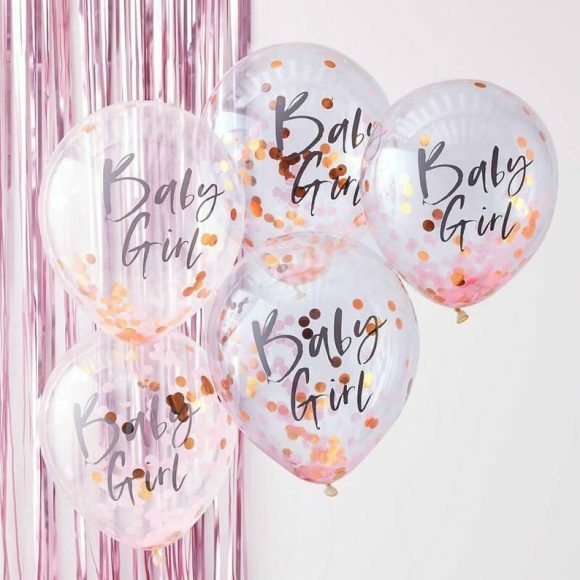 You could also scatter a number of these wonderful confetti 'Baby Girl' balloons throughout your party for a quick and easy baby shower decoration. You could place two bunches at either side of your dessert table to help make it shine! You are so going to love this wooden personalized name sign. You could also place it behind you're dessert table and use it, not only as a decoration for your girl baby shower but for a wall decoration in your baby's nursery. It's got such a girly look to it! We love it. 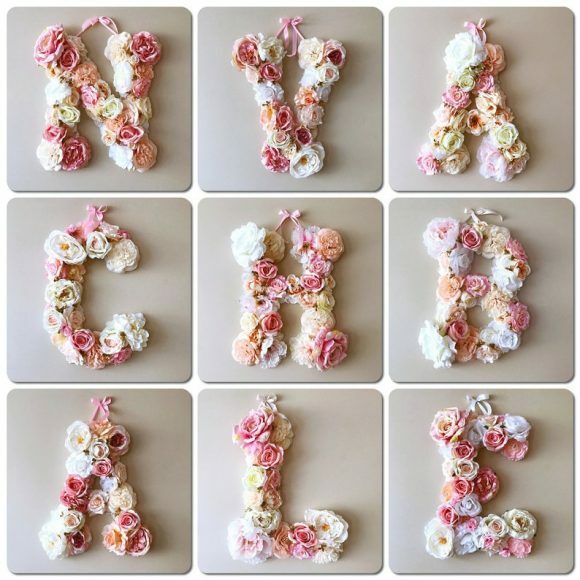 Another gorgeous baby shower decoration would have to be these floral letters made with artificial flowers. You can either have just a monogram, or even spell out your baby girls name, and hang on a wall for an impressive backdrop. 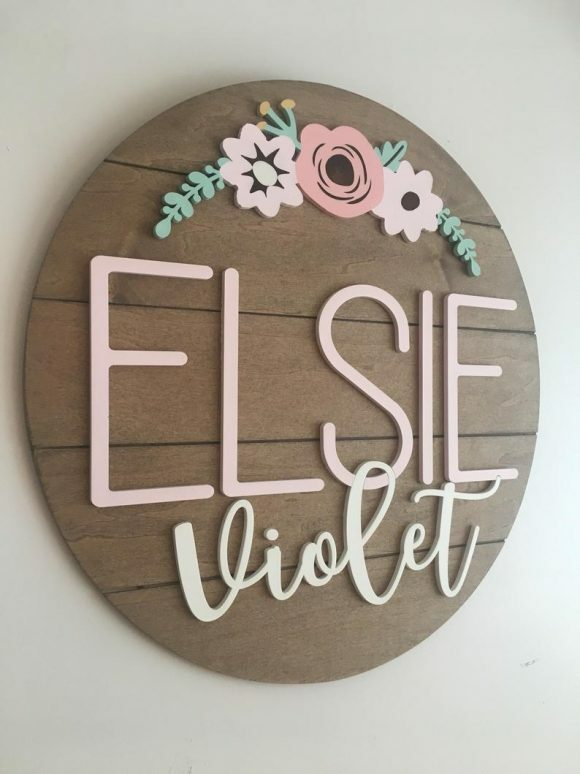 Just like the previous wooden name sign, these floral letters can double up as a nursery decoration for your baby girl. 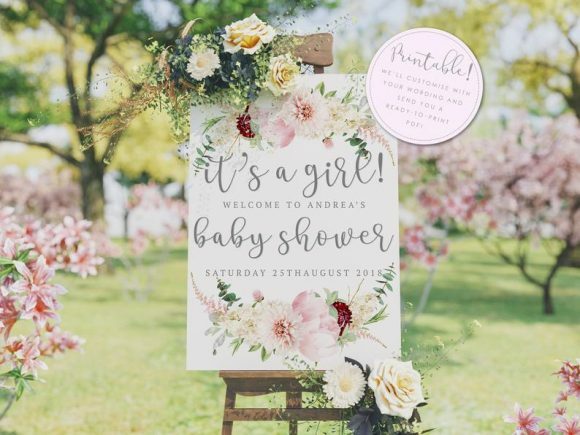 Place a welcome sign at the entrance to your baby shower so your guests know they've arrived. This printable floral one is so pretty and will look wonderful placed on a stand at the doorway of your celebration. A diaper cake is a must and is an adorable decoration for a baby shower. 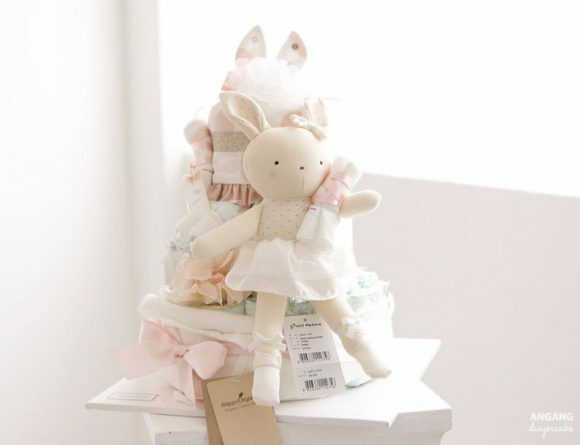 This magical bunny themed one is so pretty and so feminine. What's not to love about it? You can bet our hearts are melting! 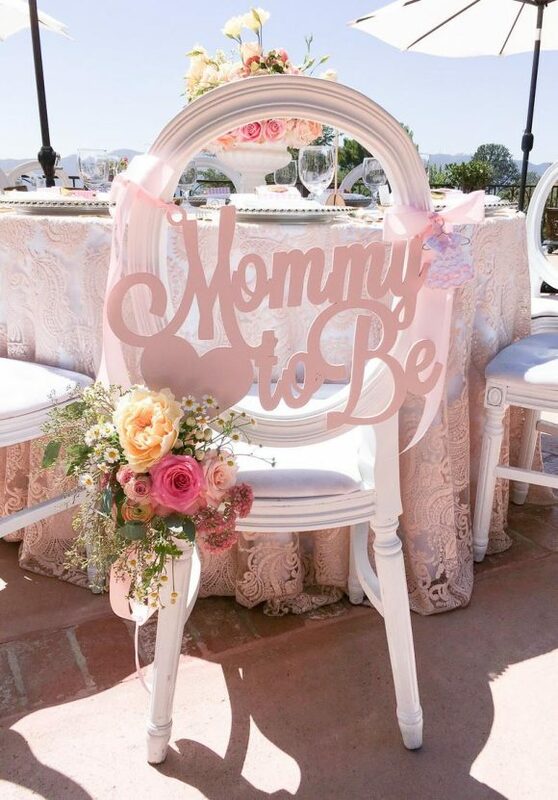 The mommy-to-be also has to be celebrated, and what a better way to do so than with this fun pink sign placed on her chair! This mommy-to-be sign is also a fun photo booth prop and a wonderful keepsake. If your baby shower theme is rustic modern, then this centerpiece is perfect for you! 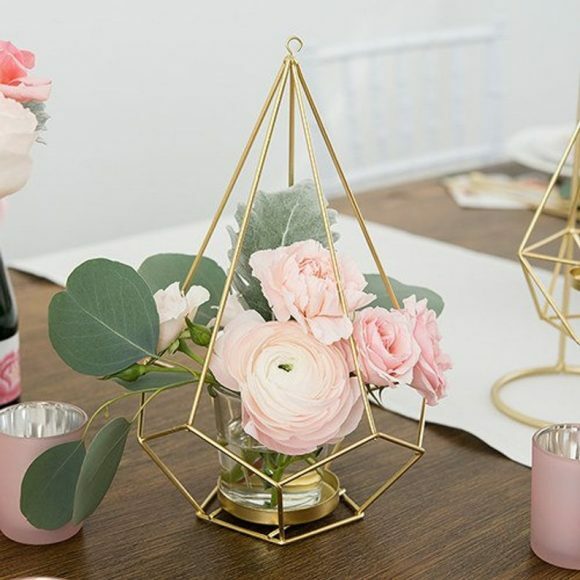 This geometric gold centerpiece will look beautiful filled with lovely flowers and placed on each table, and totally on trend. A guest book is a great addition at a baby shower. You and your little girl can look back on it together and you can tell her all about your wonderful day and the loving people you have in your lives. 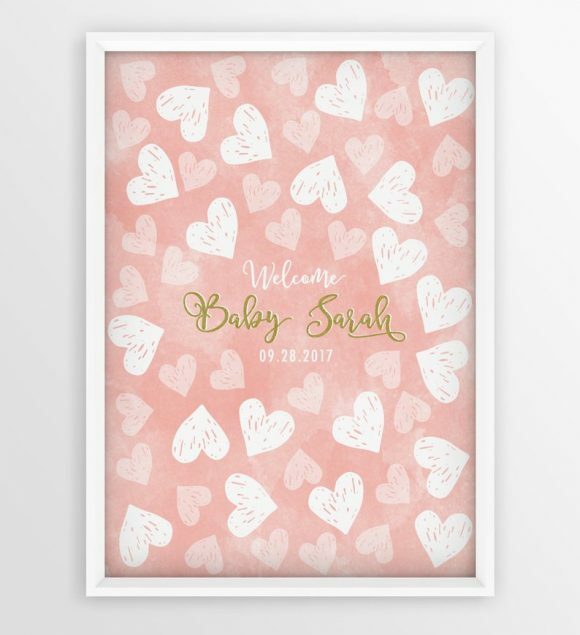 So, how about instead of having an actual book, having a poster that your guests can fill in and that can be cherished in your baby girls nursery?! We think it's a smashing idea, don't you?! 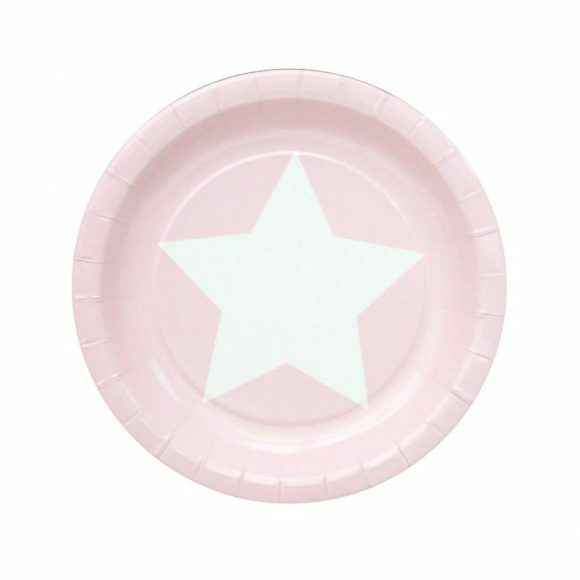 To finish off our list of girl baby shower decorations, we've added these pretty pink paper plates with large white stars. 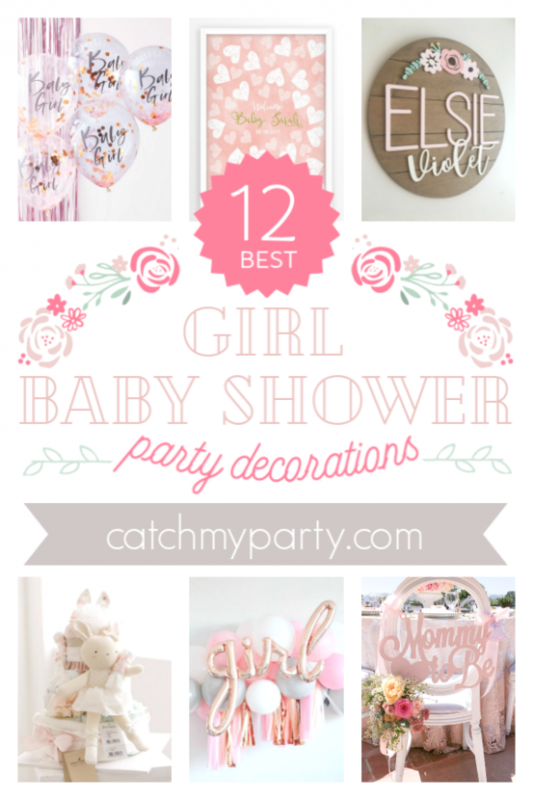 You can imagine how adorable they'll look at your girl baby shower, right?! Use them for party food or better still for the baby shower cake!